This telescope is also available as complete set for beginners - big savings! The 130-mm aperture actually offers 30% more light collection capacity than the smaller 114/900-mm model. The optics collect 344 times more light than the naked eye. 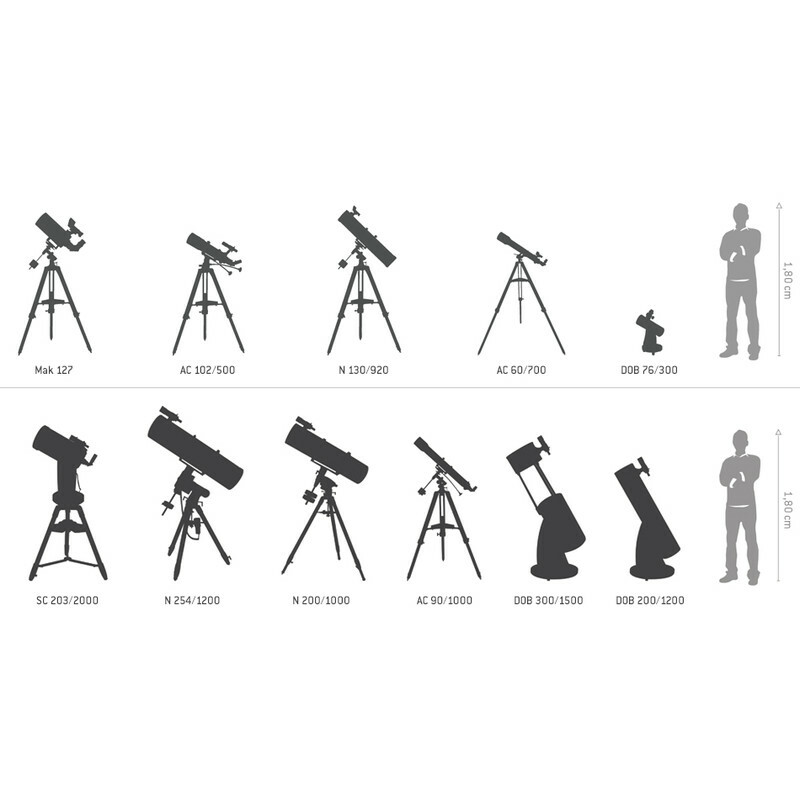 These figures give an idea of what this telescope size is capable of. The actual magnification is often not the most important factor in observation; however, under favourable conditions, with suitable eyepieces, a maximum effective magnification of up to 260 times can be achieved. The resolution and magnification suffice for distinguishing the larger features on some planet surfaces. 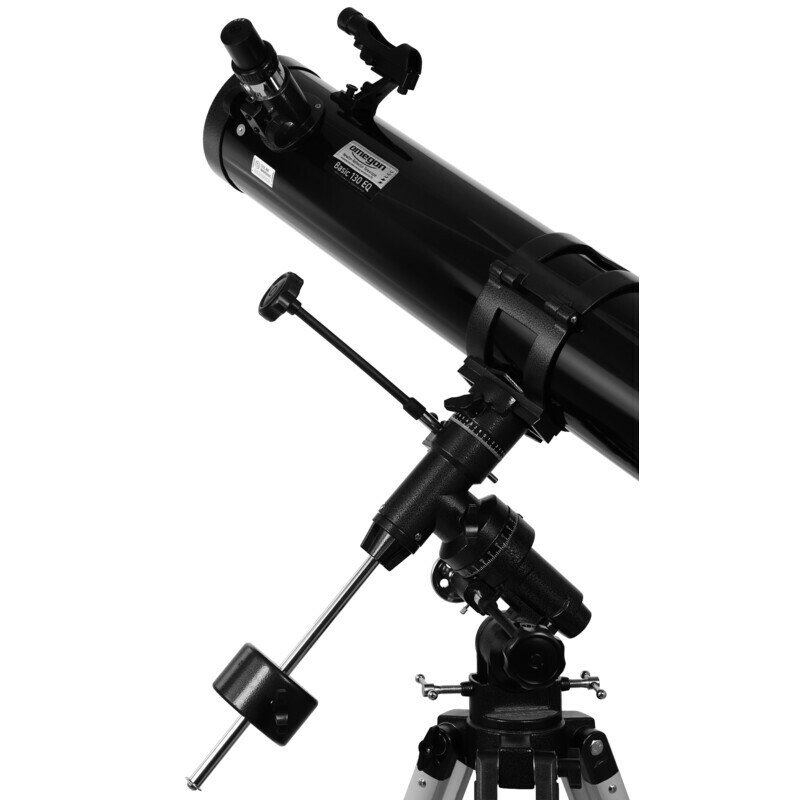 The barrel is equipped with a 1.25″ focuser into which all standard eyepieces can be fitted. The Omegon 130/920 is mounted on a parallactic EQ-3 mount. With a parallactic carriage, it is always possible to keep a heavenly body in the middle of the field of vision. To this end, the EQ-3 mount is aligned with the Pole Star, which is always due North, before the start of observations. The carriage has two axes (declination and right ascension) that are of vital importance for aligning the telescope with heavenly bodies. Once an object has been centered, it can always be maintained in this position with the integrated fine adjustment mechanism. The EQ-3 mount is significantly more stable than the smaller EQ-2 mount. This means that the optics are considerably less susceptible to vibrations and shaking. The longer-than-average barrel is held more securely and increased enjoyment from your observations is guaranteed. This combination of optics and carriage is highly suitable for visual observations and for the first attempts at astrophotography. 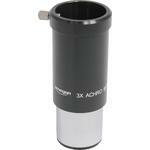 The aluminium tripod provides the stable base which is the absolute prerequisite for high quality observations. 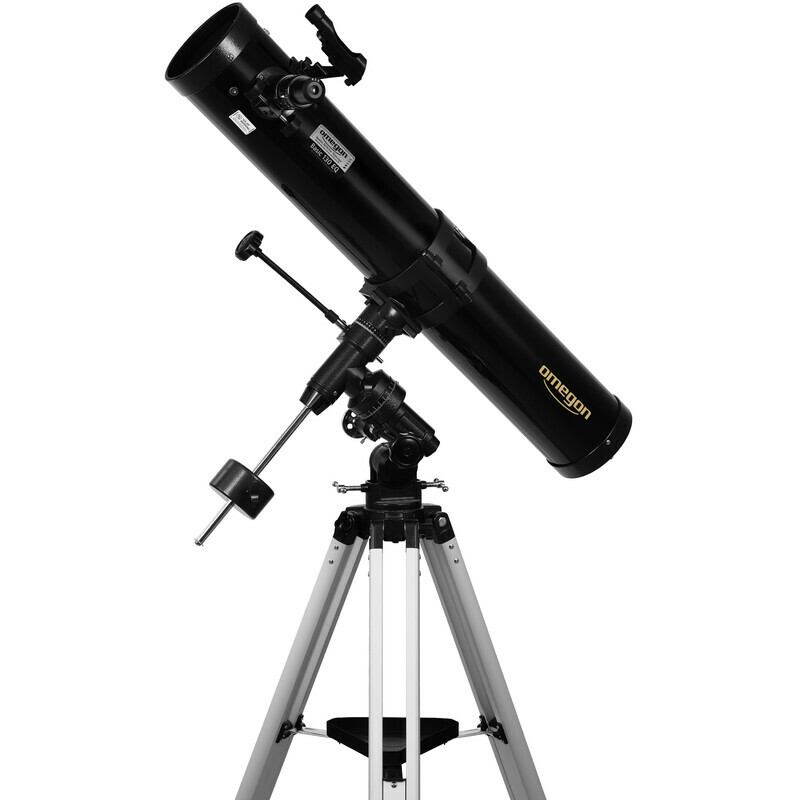 A practical eyepiece tray, which is always useful for accessories or celestial charts, can be attached between the tripod legs. 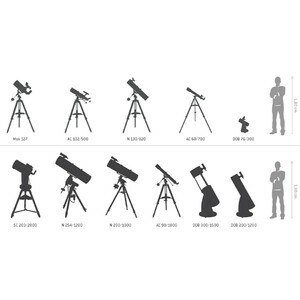 The tripod itself can be adjusted to any height in the range 72 - 124 cm, so that all astronomers, young or old, are always assured of an optimum view. 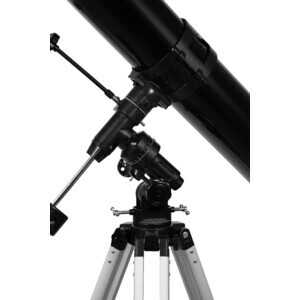 This parallactic mount allows you to accurately aligning the optics to the Pole Star. The correct polar height and geographical latitude can be set for any observation location. The slow motion controls for the RA and DEC axes allow objects to be adjusted precisely, tracked and held in the field of view. A counterweight provides exact counterbalancing of the optics. The EQ-3 mount provides a solid base for most small to medium size optics and is excellent for fascinating excursions through the night sky. 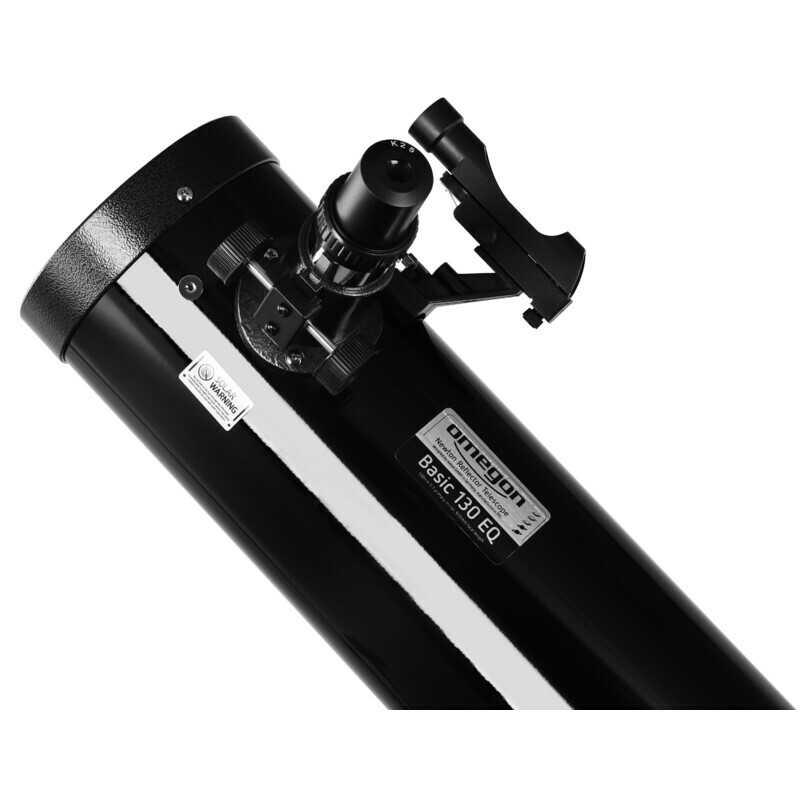 Drive motors are available for automatically guiding the EQ-3 mount, which also allows any first attempts at astrophotography. The tripod is extendable, an accessory tray provides a place for eyepieces and other accessories. A 130mm aperture has now become the standard for beginner Newtonian telescopes, as they are not much more expensive than 114mm instruments but gather much more light. In contrast to many other 130mm telescopes on the market, this telescope already comes equipped with the higher spec EQ-3 mount rather than the EQ-2. 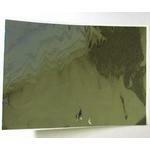 As a result, vibrations are significantly lower when observing. 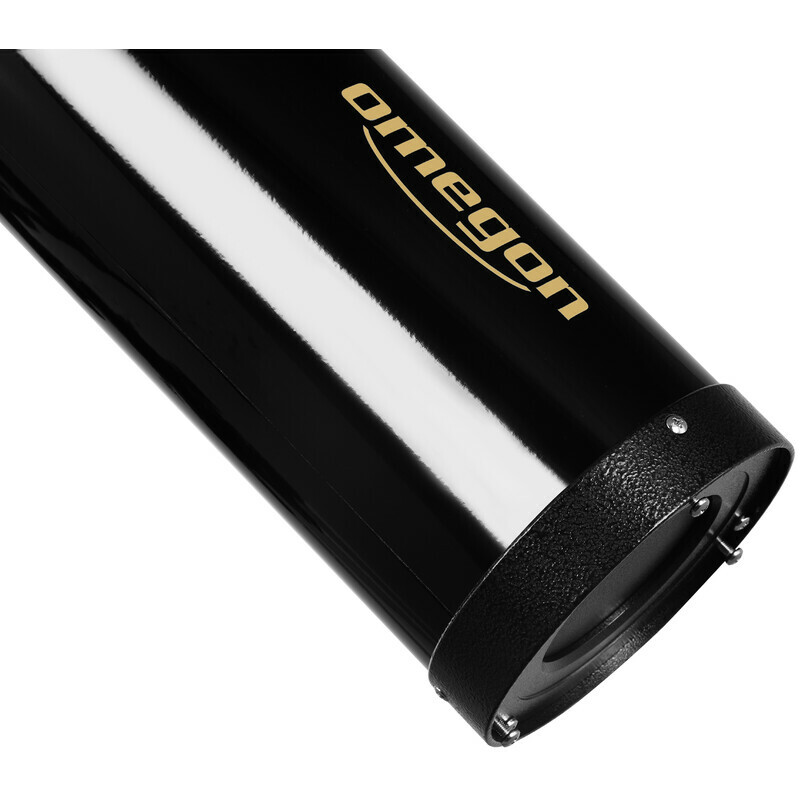 For deep sky observing, the Omegon 150/750 EQ-3 with a larger aperture recommends itself. Omegon N 130/920 EQ-3 is one of the best choices for beginner astronomers. I got this same telescope and found it pretty good for this price. The telescope will show you the moon with many details. You will be able to see small craters, mares and so on. Also you can see Venus as a "small moon". Jupiter can also be seen and Saturn will show you his rings. About deep observation, don't spect to take photos or see Messier objects as a high-end telescope, but you will be able to see them more or less clearly. Also, with a good dark night, good seing and appropriate conditions, you will be able to observe coments like Garrad, this days (27-Apr-2012) near earth. The aperture (130mm) is good enought to observe some of the most dimmer stars, or show you the Moon and other solar system planets and objects with a good level of light (you maybe will need Moon Filter for the Moon, or something to attenuate this brightness). 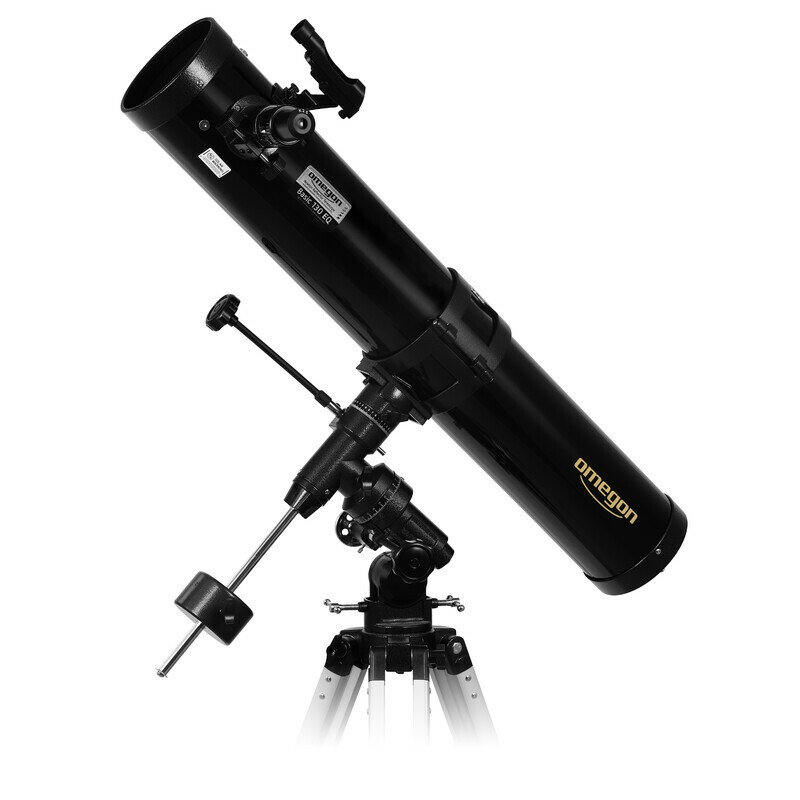 With the 25mm and 10mm eyepieces included, you will be able to perform celestial observation and also earth observation, if you are interested. About the mount, the EQ-3 gives an extra point of stability, so the telescope doesn't shakes that much when you using the precision controls or while focusing your eyepiece into the visor holder. Also, if you live in a windy place, you will likely need this EQ-3 mount instead of the EQ-2 version, or you will not be able to take any photography or observe any detail. The bad side: this telescope is asking you to use at least a Barlow x2, and since the FOV is not bad, you will be able to use the Barlow and still have a decent FOV. Since the Barlow is not included with the telescope, you will have to spend extra money on it. It's just 29.90 €, but in my oppinion, I think it's a good investment, grating you are total zoom of 188x. 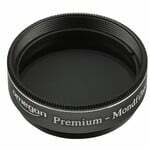 Also a Moon Filter would be much recommendable, since observing the Moon without it could be a bit pain due to the high luminosity. Also, remember this is an Equatorial mount (also called German mount). This means that you will need some knowledge about concepts like Azimuth, Declination, North Celestial Pole, Alignment, etc... 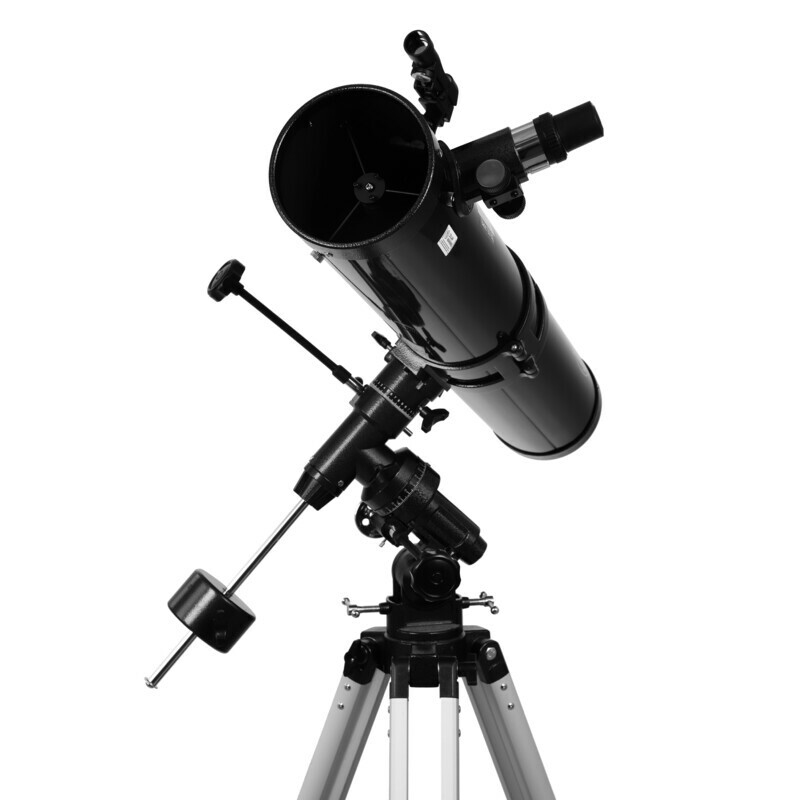 If you don't know or don't understand those concepts, then it may be some point to decide for a telescope with another type of mount. But if you can study those concepts, you will get a lot of profit from Equatorial mounts. So, briefly, if you are a novice astronomer and you want to start it good and easy, without spending a lot of money, to learn about mandatory astronomy concepts, and have good seeings of the Moon, planets and some deep space objects, then Omegon N 130/920 EQ-3 is a good choice. You will not regret it at all and you will get profit from the first night. For this price, it's hard to find something way better. Fist of all omegon is a very nice scope just for the beginning got it on the 10 of aug 2010 first night, I did some star hopping seeing one of the brightest stars “Jupiter, Antartes, Pleiades, Vega “the scope is pretty fine even with a lot of light around you, if you take it somewhere ever darker it’s even better. Some negative parts of the telescope is that , the EQ-3 mount is not that stable as they say if you touch the scope a little it vibrates a lot , something else that’s very bad and annoying is that to find your object you going to need to fall on your knees to find it that’s pretty bad. 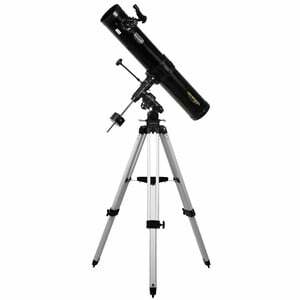 But I sagest this telescope to all beginners for a low price telescope , the optics are not that bad , easily you could see Jupiter’s Red cloud and the Galilean moons. Now for some deep sky objects it’s ok did not try it still but I am sure you may be able too see “ Orion Nebule “ or maybe “ M14 “ and some famous star clusters , you cloud see Pleiades ( 7 sisters ) and if you focus enough you could see “asterope” but don’t wait to see the nebule you will just see some bright light if you are in a darker spot you may see it like a star cluster/nebule and easily you see “maia”. The 2 eye pieces are not that bad I would suggest the 25mm to use it for more constellations are the 10mm for more detail. My review is a very starter review I just bought the scope so probably if I know how to use it more I could see even better good luck to all.